Are you Ready to Scale your Business to New Heights? 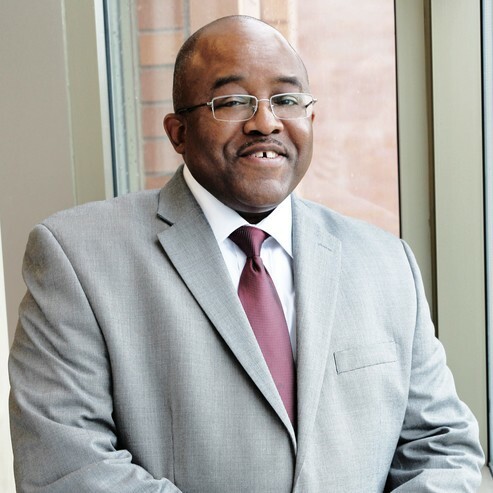 Executive Director, David McGee, was able to sit down with one of the Promise Zone's AmeriCorps Volunteers in Service to America to discuss his connection to North Minneapolis and how his professional life as a banker led him to start his own non-profit organization. At Build Wealth Minnesota, they utilize public, private, and foundational resources to develop and provide programs and services that will empower individuals, families and communities to embrace a new way of viewing their lives in the area of Financial Literacy, Debt Reduction, minimizing the cost of money and wealth creation for generations to come. Mon, March 12, 11 a.m. -1 p.m.
Mon, March 12, 1-2 p.m.
Mon, March 12, 2-4 p.m. 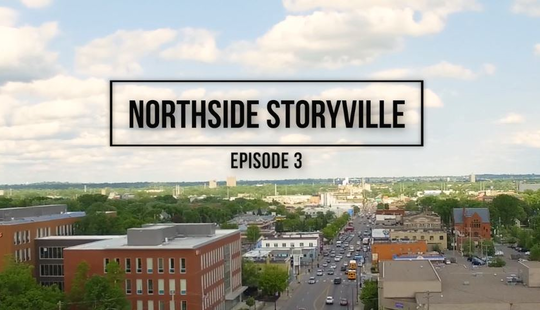 Wed, March 14, 2-5 p.m.
Thurs, March 15, 1:30-4:30 p.m.
Northside Storyville is BACK! And we're excited to tell some of the amazing stories of North Minneapolis. Next up is HWMR - an upscale barbershop turned lifestyle brand in the heart of North Minneapolis. The founder and owner is Houston White, a veteran entrepreneur, who after the economic recession, shifted from building custom homes to creating a destination space for cultural connections in North Minneapolis through HWMR and his clothing brand Black Excellence. Are you a woman owned, minority owned or disadvantaged small business? 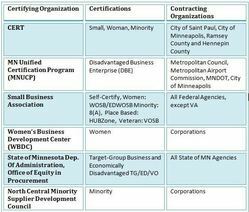 Then visit the Small and Disadvantaged Business Opportunity Council's website for a list of diversity certification programs in Minnesota. The Small and Disadvantaged Business Opportunity Council (SADBOC) is a council under the Federal Executive Board of Minnesota whose mission is to promote supplier diversity in the public sector through collaboration and information sharing between its members and through education and outreach to the small business public. SADBOC members include Federal, State, and local agencies as well as non-profits with an interest in supplier diversity. The Metropolitan Council is soliciting proposals for Quality Management Services, including quality assurance inspections and testing, to support the Council during Civil Construction of the Southwest Light Rail Transit Line. The Southwest LRT Line is an approximately 15-mile line that will service the Twin Cities metropolitan region of Minnesota, operating from downtown Minneapolis through the southwestern suburban cities of St. Louis Park, Hopkins, Minnetonka, and Eden Prairie. The City of Minneapolis wants to help Minneapolis commercial buildings pay for solar upgrades. Highest priority will be given to buildings participating in the City of Minneapolis Benchmarking program. This funding is available through the Green Business Cost Share Program, which helps business owners overcome financial obstacles to better energy efficiency. Priority will be given if your business is in the Green Zones of Minneapolis. We’ll give incentive of $0.35 per estimated annual kwh production. Scale Up! is a free education and coaching program offered by WomenVenture. It's designed to scale established women-owned businesses that are positioned to achieve exponential growth. Women business owners whose businesses have been in operation for at least five years, are committed to creating exponential growth in their business, are able to invest time inside and out of the classroom, and have at least $500,000 in annual sales. Apply by March 20, 2018. Tues, March 13, 5-7:30 p.m. Sat, March 18, 10:30 a.m. -2:30 p.m. Wed, March 21, 6-8 p.m.
Thurs, March 29, 5-7 p.m. Wed, May 16, 9:30-11:30 a.m.